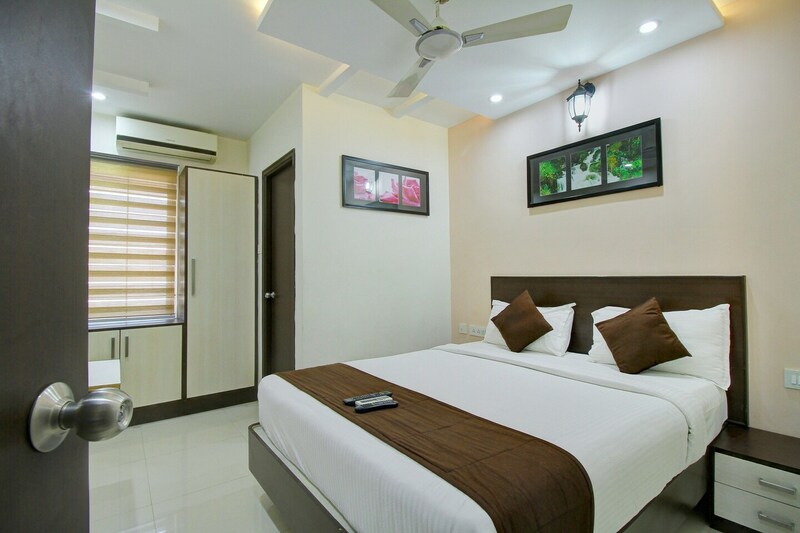 The RD Towers is a good hotel which offers rooms with basic amenities. A neutral palette is maintained in the rooms. The painting has been used to decorate the walls and enhance the ambience of the room. Furniture made of wood is provided in the rooms which further adds to the cozy feeling of the room. Windows provided in the room allows the guests to enjoy bright sunlight. The hotel provides the facilities of free Wi-Fi, CCTV cameras, an elevator, card payment, and a parking lot. The hotel is within close proximity to a number of travel points, restaurants, tourist attractions, and markets as well as ATMs.